Think Goa and you might immediately connect with images of beaches and night life. But there is so much more to Goa than partying that you can discover in India’s best loved beach state. 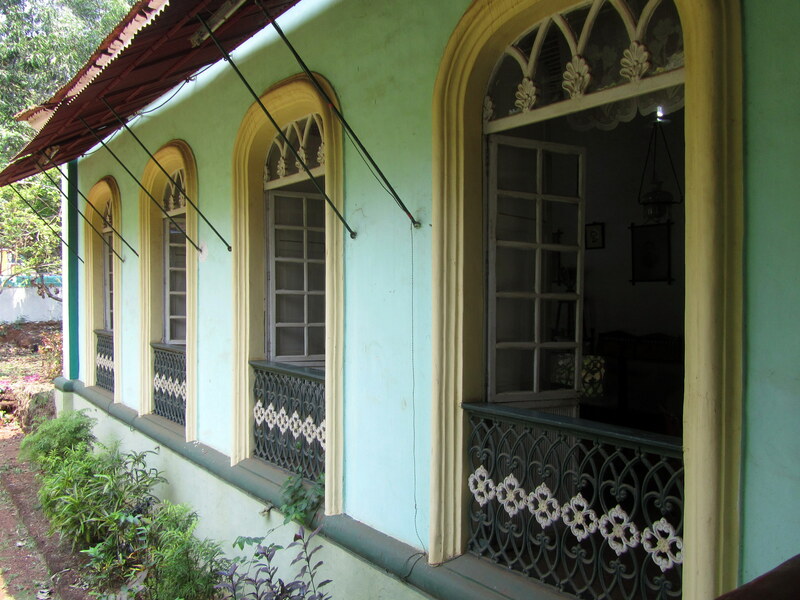 And if you like me, are the kind who likes architecture, stop by at Loutolim a quaint village located 10 km northeast of Margao. Home to some of the finest examples of Portuguese heritage architecture, there are several ancestral homes here. 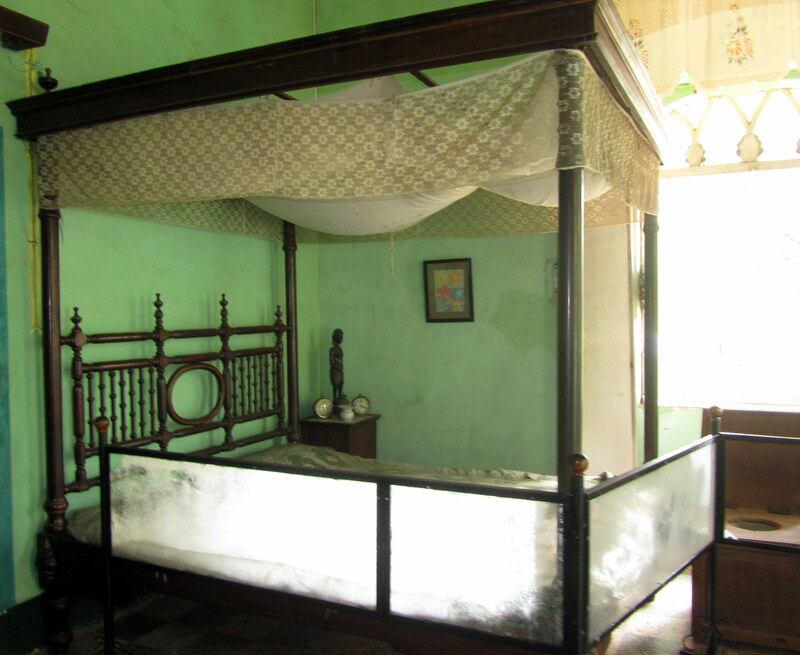 One such home is the ‘Casa Araujo Alvares’, located opposite Ancestral Goa (a space that depicts life in Goa of yore). As we made our way into this 250 year-old mansion, it was easy to see that it has stood the test of time thanks to its curved stairway, wide entrance and the family emblem that is very evident at the main door. Large windows with crystalline glass front the house and take you into the grand hall. 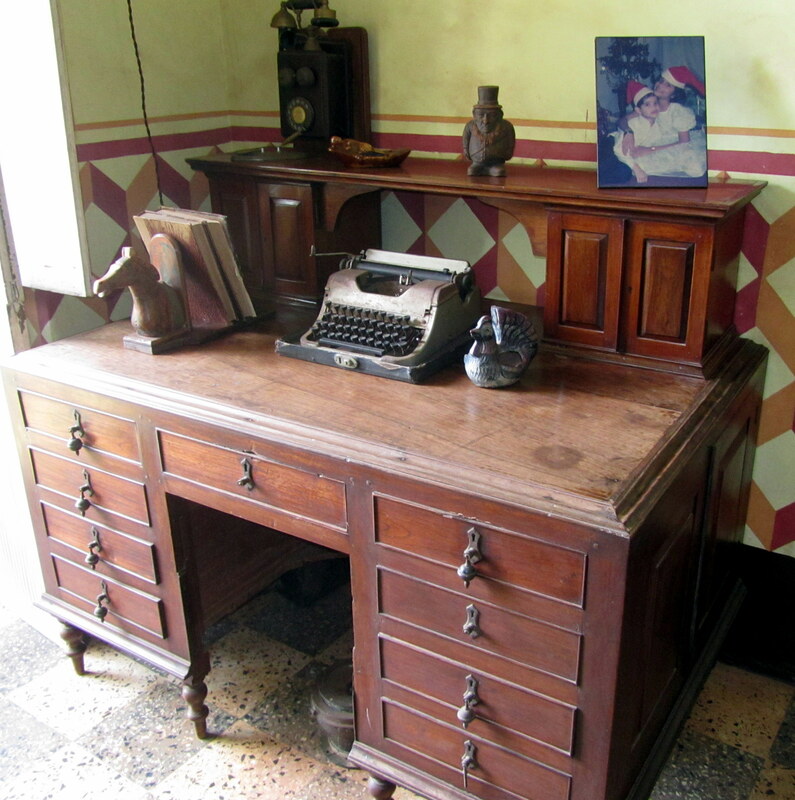 The home is named after its owner Eufemiano Araujo Alvares a prominent lawyer during the colonial era. We were told that the three brothers Manuel, Mario and Maendra, the inheritors of the house stumbled upon the idea of maintenance of their ancestral home to ensure they could retain its heritage value. And the best part is that you can tour the interiors with an automated half-hour ‘sound-and-light show’ which illuminates rooms and furnishings to commentary for a small fee. The colonial design of the home is apparent through an open courtyard centered within the house’s perimeters. As we enter the home, the first room has a hat stand, an ancient German lampshade and an antique Palanquin which we are told was used by the wealthy as a means to travel. From here the mansion’s indoor chapel is clearly visible. This brightly lit space has a painting where the Father, the Son and the Holy Spirit are depicted in human form. The next doorway leads you to a bedroom that displays unique commodes or portable indoor toilets! A huge four poster bed, a clothes hanger, enamel hand-painted wash basins, water jugs, soap cases and beautiful marble-topped tables, apart from an antique dressing table and wardrobe. 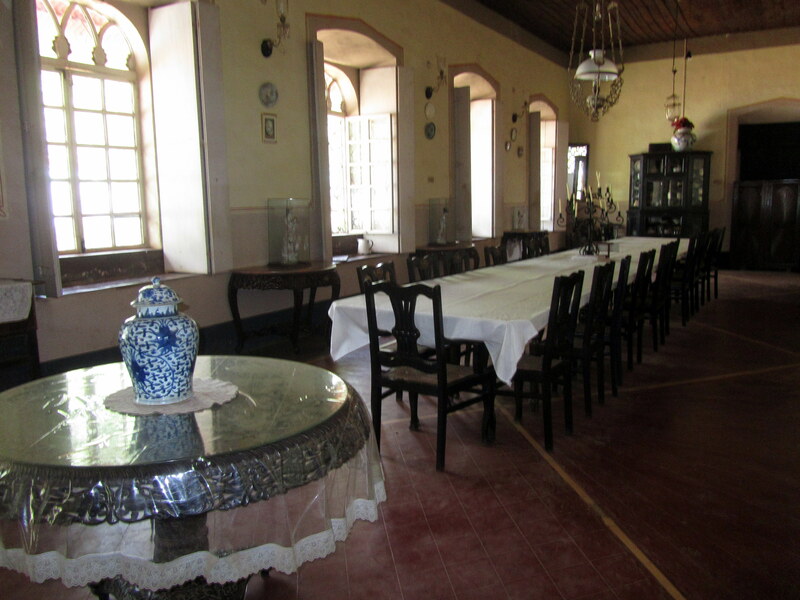 The hall has carved antiques and low love seats with wooden floors and one of the doors lead to the dining hall. However special mention must be made of the Kitchen easily the most spacious room here leading to the courtyard and a vegetable and fruit patch. 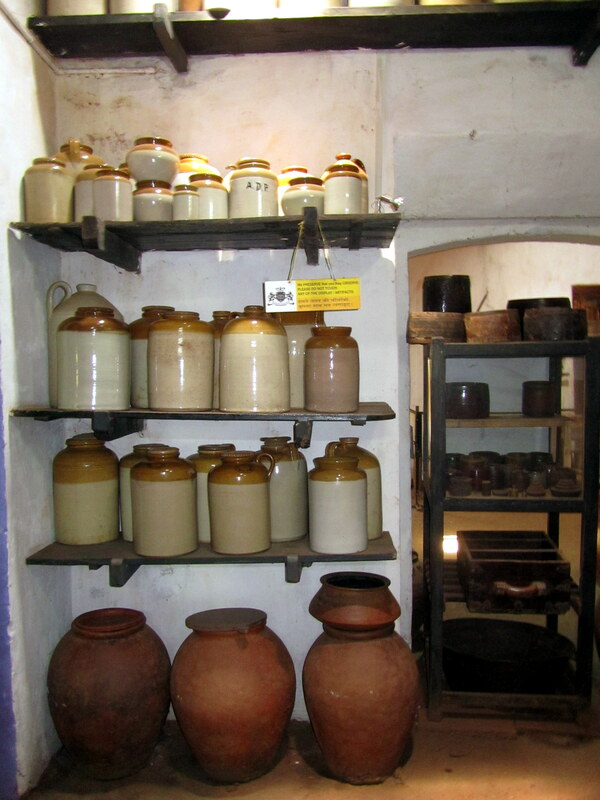 The kitchen has two wings – one that leads into a store for food items and the other that has huge copper and earthenware pots and pans. 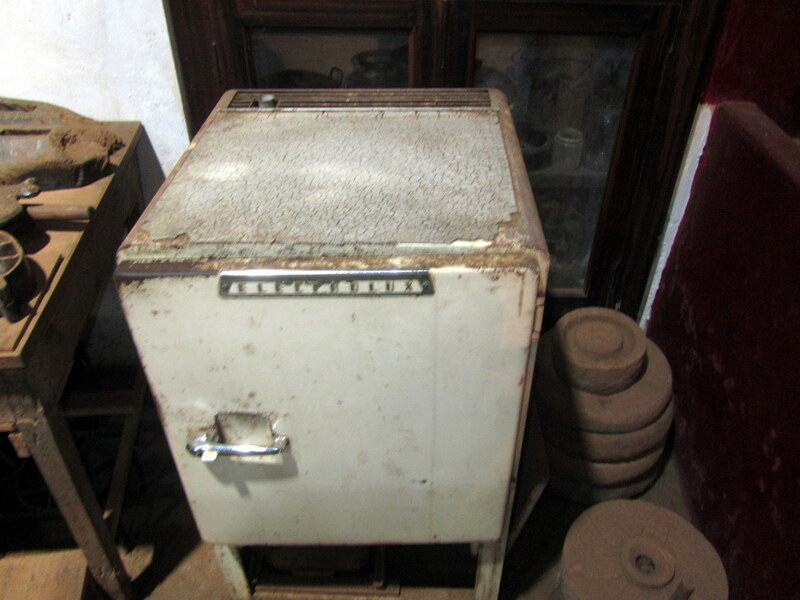 Do not miss the spaghetti maker, ice-cream spinner and also a steam cooker as well as the small round bamboo baskets used to steam rice cakes. Antique chandeliers imported from various parts of the world are part of every room. Another unique feature is the collection of thousands of Ganesha idols. Interestingly the tour ends with some catchy upbeat Goan music. 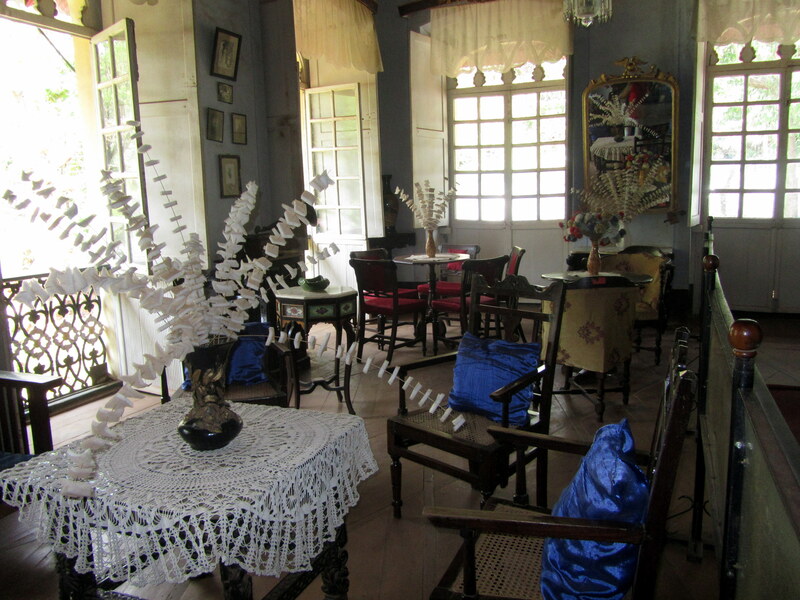 The Alvares families have done much to maintain and preserve the antiques and other artifacts so make sure a visit to this space is a must do list simply to witness the mélange of history with tradition. Enjoyed reading this…thank you for sharing Rashmi! Oops typo…. * got me most excited…. Very true; Goa is truly a multifaceted state! Bindu does wear so many hats with such ease and aplomb and this tour diary on gorgeous Goa is a virtual treat that I enjoyed for free! This is so lovely! I specially love the Dining area, so grand and exquisite. I am so happy that people wish to preserve their rich heritage even in this day & age. Yes; these are exactly the kind of places that reflect the culture and heritage of a place. Glad you liked the post Anupriya! Such a beautiful place and somewhere I’d like to visit one day. I love the Portuguese influences. Thanks for sharing. Wonderfully preserved mansion..this post flashed all those Portuguese flavoured Bolly-movies like Trikaal, Finding Fanny as I went through the snapshots. Kitchen is really very impressive. Thank you Rosemary; appreciate you reading! I’m researching Vasco da Gama and his voyage to Goa. It’s nice to read your perspective on the architectural influence of the Portuguese. What a talent with minute details! Thanks for likes and wonderful comments.